Thanks to Patrick Nelson for suggesting “Adventure” for these mini-episodes. Ryan and Steve attack another ad from the sticky depths of Craigslist. 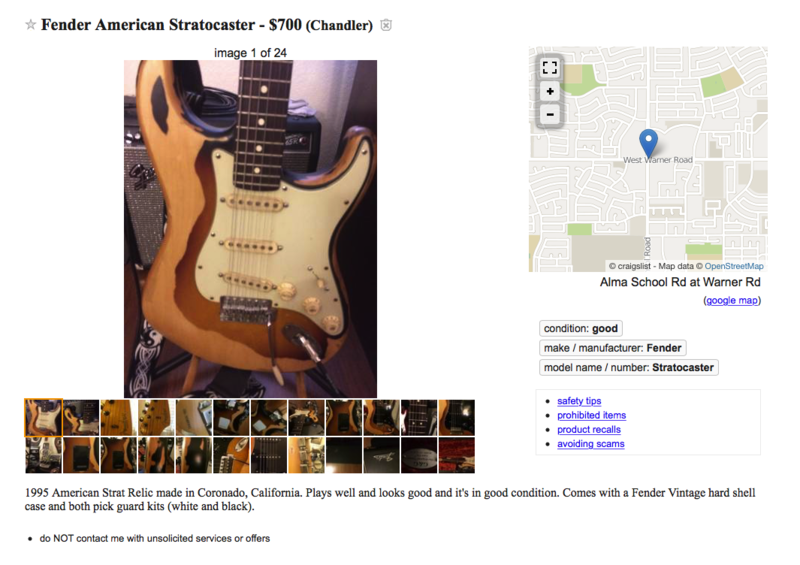 This week’s ad is a mid-90s Stratocaster that is begging to be loved by someone after the obvious abuse taken by its current owner.